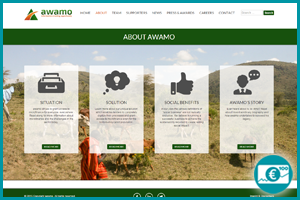 Awamo offers a complete credit- and risk management solution for microfinance institutions (MFIs) in sub-Saharan Africa. It opens up the market for low-income borrowers by providing MFIs with affordable, comprehensive digital solutions that capture borrower data using fingerprints for identification, monitor MFI operations in real-time, and generate credit reports – all of which decrease interest rates and increase financial inclusion. Currently, MFIs offer financial services to those without access to banks, but due to high default rates, charge annual interest rates of over 60%, which small enterprises cannot afford. Using a tablet PC with awamo software and an attached fingerprint scanner, MFIs can record every client interaction via the Mobile Office, allowing MFIs and their clients to create accounts, check credit scores, handle loan disbursement and repayment, and make deposits and withdrawals. For the first time, data can be captured in-field and transmitted to a secure, cloud-hosted database via the mobile network. MFIs can instantly access the data via a web-based management, monitoring, and reporting system. The emerging database is the starting point for credit reporting. 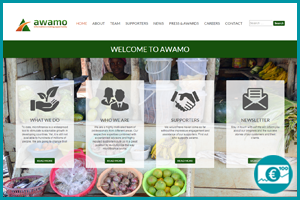 Enabling access to finance for small scale farmers & business owners in remote areas, catalyses local markets & benefits communities. 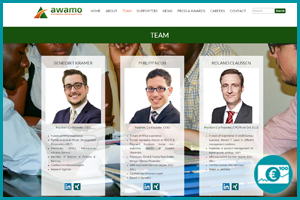 In contrast to other MFI IT-systems which are confined to PC interfaces, awamo offers a mobile solution that digitizes every client interaction from the start.